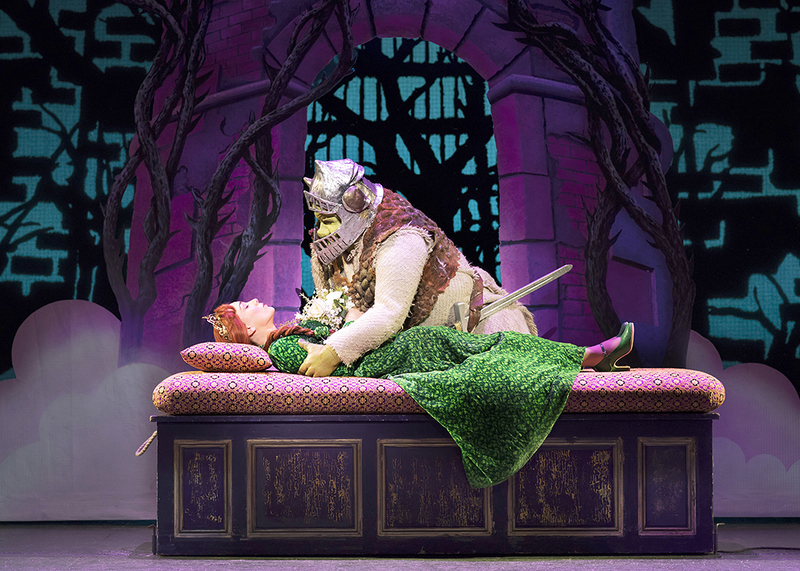 Shrek the Musical, based on the 2001 Oscar-winning DreamWorks Animation film tells the tale of a Scottish Green Ogre who, along with his noble steed, is challenged by Lord Farquaad to rescue a princess from a dragon-guarded tower. Seems pretty simple right? Oh no, in true fairytale style it’s never THAT simple but in the end, Shrek falls in love with the princess and they live happily ever after. The End. In all honesty, I’m not a ‘fan’ of musicals and I can often be seen squirming in my seat when a big ‘show tune’ appears on the screen. I think it stems from a watching Mama Mia in 2008 and whitnessing Pierce Brosnan sing SOS. Anyway, I was invited by We Blog North to attend the Press Night of Shrek the Musical at the Palace Theatre in Manchester. As a HUGE fan of the franchise, I was ecstatic. Alex rolled his eyes but in the end, he was belly laughing so I’m pretty sure he enjoyed himself. The show is predominately aimed at children but there are a few sneaky innuendos in the script for the adults to enjoy. These mainly coming from Lord Farquaad, played by Samuel Holmes, who STOLE the show. 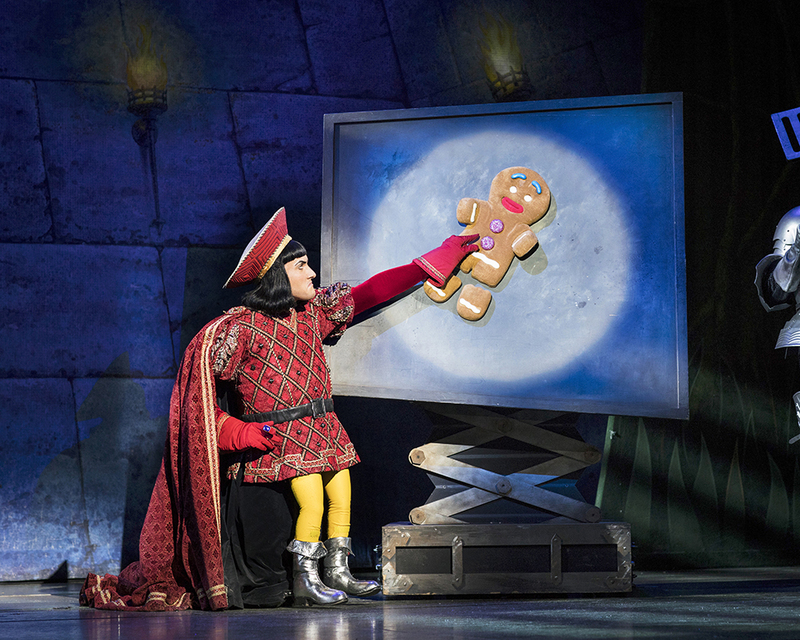 The producers should consider renaming it Lord Farquaad the Musical. Seriously those little yellow legs had me in stitches. 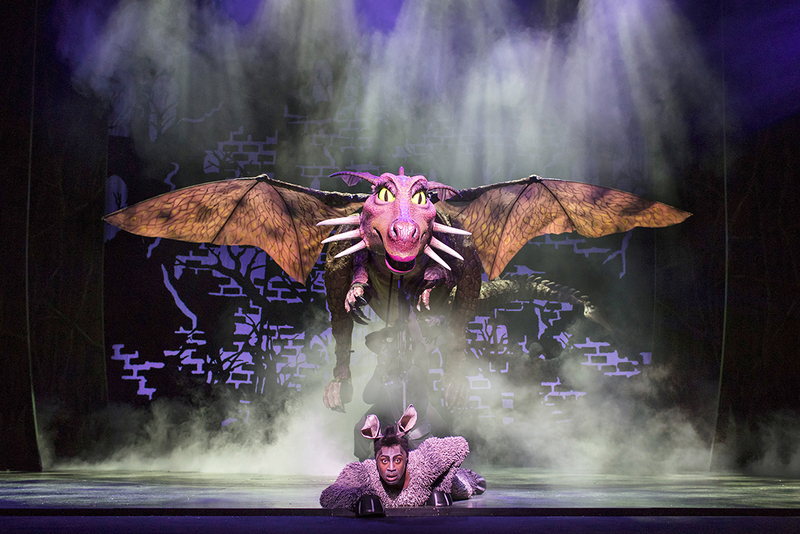 The #fairytalecast included Donkey, played by Marcus Ayton. He is exactly like the character in the movie. Accent and all. I loved him. The character of Princess Fiona, played by Laura Main, was a bit awkward at the start but she grew on me once she farted and I spat my drink out. Proving even Princesses fart! 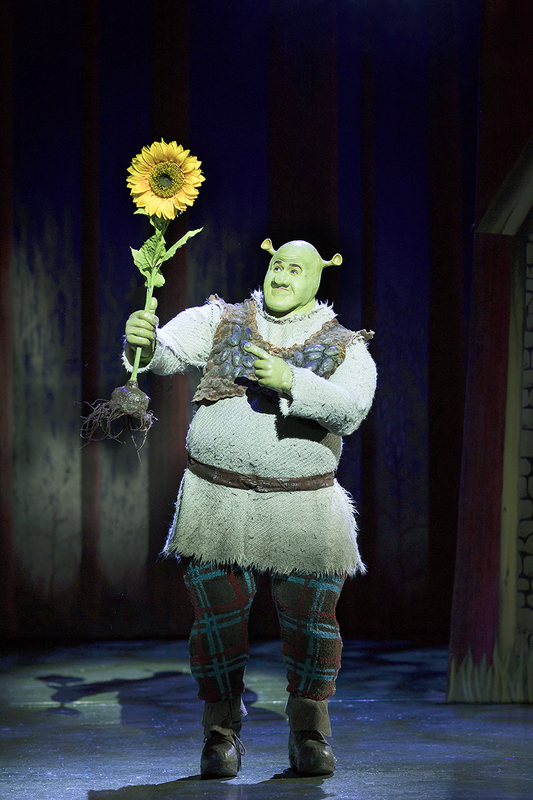 Shrek, played by Steffan Harri, was loveable (could have been more Scottish) but he and Marcus played the perfect comedy duo. There was no sign of The Muffin Man but there were plenty of cameos from other fairytale characters such as Pinocchio, Gingy, and the cross-dressing wolf. All in all, this was an enjoyable and uplifting tale and I thoroughly enjoyed it. 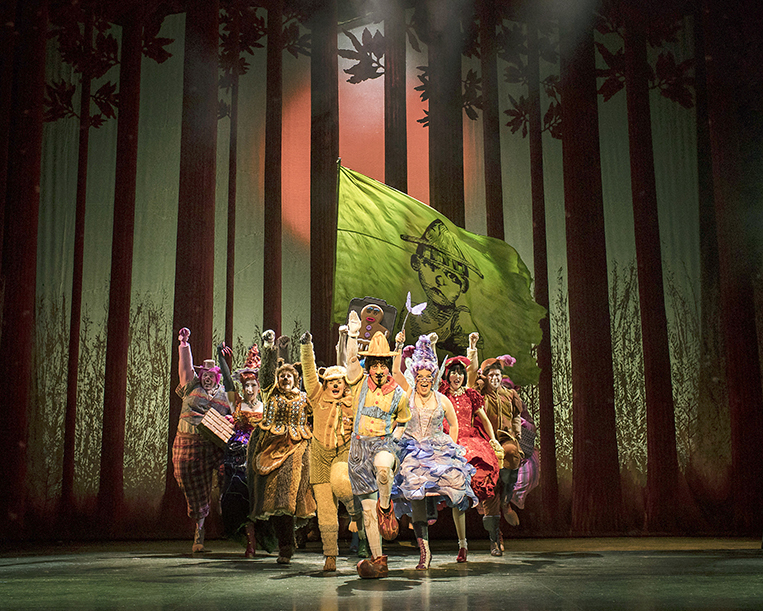 Shrek the Musical runs from Tue 16 Jan 2018 – Sun 28 Jan 2018 at the Palace Theatre, Manchester and will then head over to the Sunderland Empire from Wed 31st Jan. Tickets for the tour are available here. If you haven’t seen Shrek the Movie then where have you been? All four (yes four) movies are on Netflix so there’s your weekend sorted. You’re welcome. 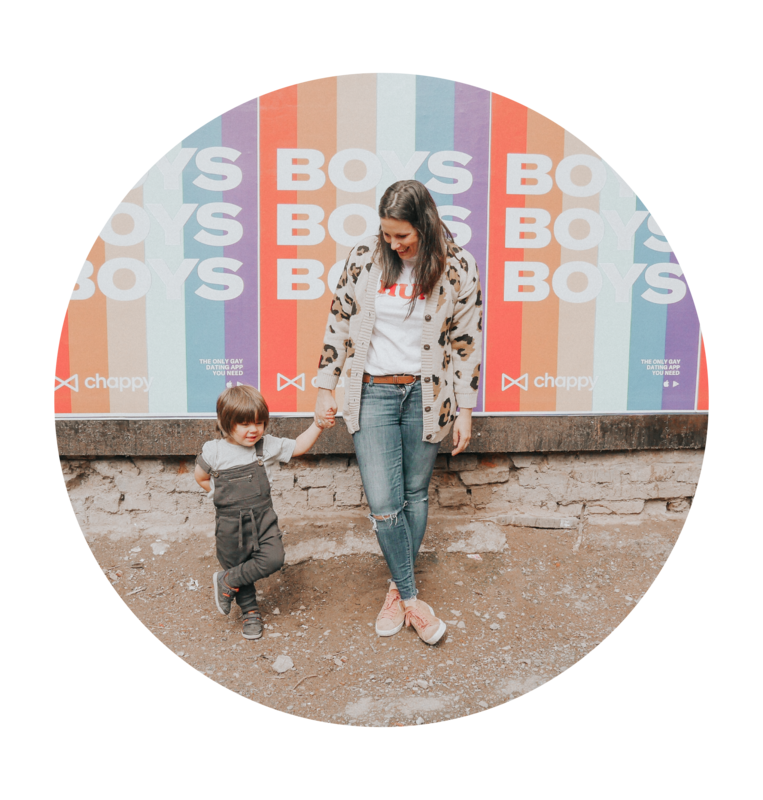 This post is in collaboration with Shrek the Musical / Palace Theatre Manchester / We Blog North and tickets were complementary for this review. Words are my own but photos are credited to Helen Maybanks.